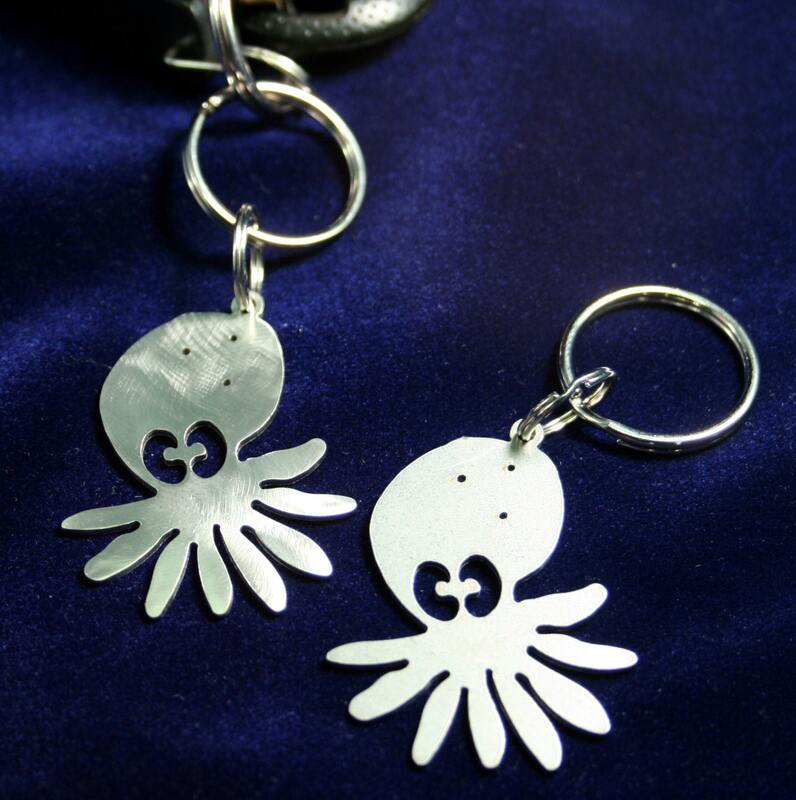 This Quirky little Octopus charm, designed by Sunny, inspired by the many tide pool creatures she grew up with exploring San Juan Island's many tide pools. 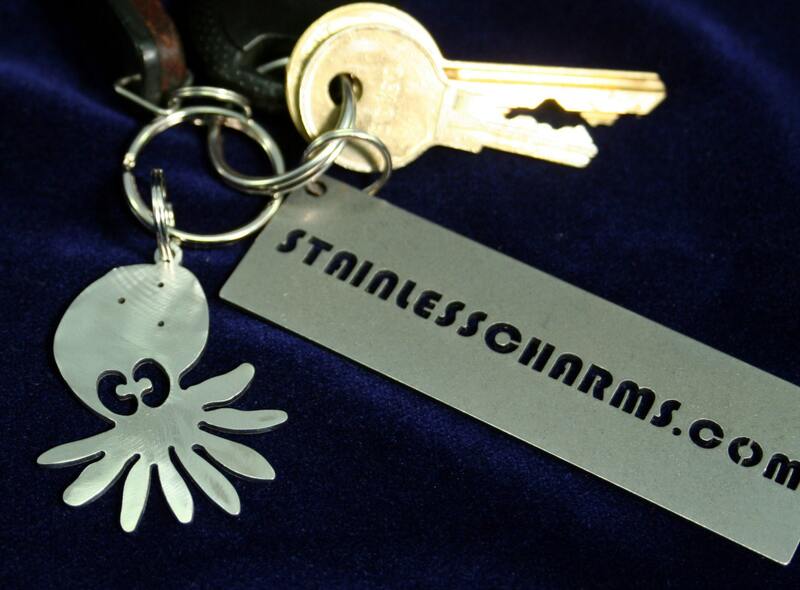 Made from 14 gauge stainless steel. 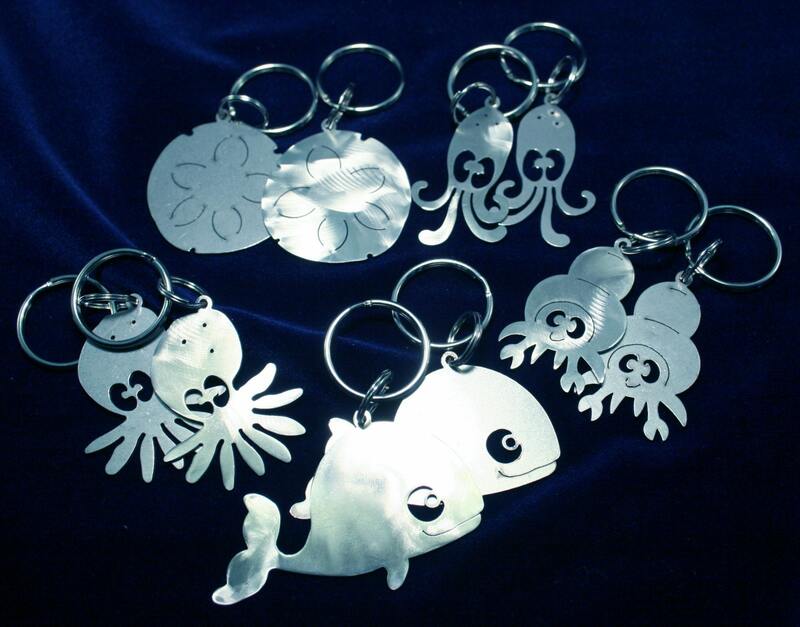 A heavy duty key chain charm has a tumbled matte finish and comes with a 12mm and 3/4" nickle plated split rings for mounting or hanging and measures approximately 1-1/4" wide by 1-3/4" tall , not including split rings. 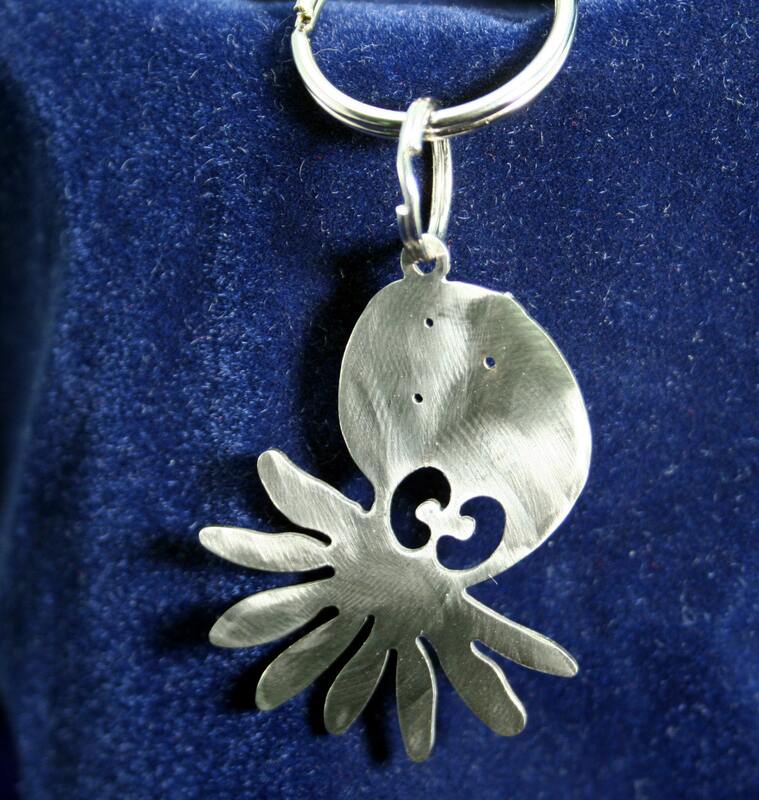 Also comes with a brushed shiny finish option. check out all the other tide pool and sea creatures.